In the stock market, one of the most common questions is "How much should I expect my stocks to go up for the next one year?" This is a very tough question, or next to impossible to answer. A better question is "How much should I expect my stocks to return over the next 5, 10, or 20 years?" 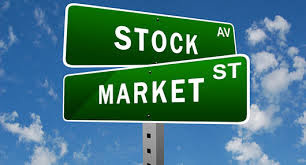 It is relatively easier to predict what the stock market will do over long periods of time. Expectation and outcome are two totally different things. You can expect whatever you want for the return from stock investment, but the outcome, especially in the near future, would probably end up very differently. Hence it is best to have some knowledge of history, experience, research, probability and statistics to have a better feel about expectation on stock investment. The CAR from the US equity market of 146 years from 1871 to 2017 is 6.9% in real term after adjusted for inflation, or about 10% in gross term. US stock held over a one-year period, the maximum return was 67%. On the other hand, there was also a year with a maximum loss of 39%! When the stocks were held in longer duration, say for ten years, the maximum CAR was 17% and the minimum -4%. Stocks held over a 30-year period had a maximum CAR of 10.6% and a minimum of 2.0%. Investing in Bursa follows roughly the same statistics, albeit with higher volatility. My own academic research shows that from 1974 to 2006, KLCI had a gross CAR of 12%, not far from the US statistics. I was surprised when I downloaded the longest statistics from Yahoo Finance for KLCI from January 1994 to January 2019, the CAR (including dividend) is less than 5%. That was probably due to the steep fall of share prices the last few months after GE14, coupled with the relatively high stock prices in January 1994. With the above history and statistics, one should have an idea what he should expect for the long-term return investing in the stock market. So, what do you think of the opening statement implying that newbies should expect 15% return from the first 10 years, and CAR probably 15%, 20% or even 50% in subsequent years? To put those numbers in perspective, a young 25-year old graduate who consistently puts aside RM1000 a month and invests in the stock market with CAR of 10% would save up to RM6.3 million in 40 years’ time when he retires at the age of 65. At 30% CAR, he would build up a nest egg of RM5.6 billion when he retires, or RM1.4 billion in today’s money! So, why aren’t you be more ambitious and aim for a higher CAR of 30%, instead of just 10%? This again we should refer to history, statistic and research, as without them, we are just simply shooting without proper targets. Brad M. Barber and Terrance Odean in their paper “The behaviour of individual investors” in the link below shows that individual investors under-performed the market due to information asymmetry, overconfidence, sensation seeking and action chasing, failure to diversify, easily influenced by rumours, tips, media and internet forums etc. Many of them had lost their life saving. Another study by a Boston based consulting firm, Dalbar Financial Services in its 2005 report, “Quantitative Analysis of Investor Behaviour” shows that an average equity investor earned over 9% less annually than the S&P over the last twenty years. This huge chasm was attributed to investors’ trying to time the market and thus failing to keep their money in stocks for the entire time period. Figure 1 below shows a chart in JP Morgan’s 1Q 2014 Guide to the markets. Based on their analysis, the average investor had a 2.3% annualized return over the 20 years from 1993 to 2012, way underperformed the market return of 8.4% during the same period. The return can’t even keep up with inflation. Hence if investors are not careful, they could end up instead of building up their retirement fund, under-perform the broad market, or even losing their life saving. There were people who had made extra-ordinary return of more than 50%, 100% or more a year, or even in a month, but few if any can make those kinds of returns over 3 years, 5 years or 10 years. Some had proven to make more than 20% over a long duration of time, investors such as Walter Schloss, Warren Buffett, Charles Munger, Peter Lynch, Joel Greenblatt, Seth Klarmen, Mohnish Pabarai etc. They are proven successful super investors. Undoubtedly, there are also individual investors, including those investing in Bursa, who have obtained those returns, but they are few and far in between. How to get high return from market? An extreme depressed market in which to buy (hopefully to be followed by a good environment in which to sell). Does an extreme depressed market like that of 1998 or early 2009 in Bursa come along often? More importantly, in that environment, does he still have the guts to buy, or even buy big? Extraordinary investment skill by definition is something very rare. It is not about following some simplistic investment rules as propagated in the internet space. Do you have that over those working for the investment banks and fund houses? Worse still when an individual is egoistic and overconfident in his investment skill or ability and have been fooled by randomness in his previous success. Taking excessive risk in order to earn higher return such as following rumours and tips, embarking on the greater fool theory, engaging in leverage and margin finance can also work against you when things don’t turn out well and can get you into deep trouble. I am sure many of you have experienced or at least have seen it a number of times before? Good luck in investing? I don’t count on that, do you? There is no free lunch. Risk and return are intertwined with each other; the higher the return expectation, in general, the higher the risk. A long-term nominal return of 10% would provide me with a real return of 6% which is pretty good, assuming an inflation rate of 4%. Return expectations must be reasonable. Anything else will get you into trouble, usually through the acceptance of greater risk than is perceived. Expecting too much is likely to lead to disappointment of loss. Trying higher returns usually requires some increase in risk taking; risky stocks, greater portfolio concentration, or increased leverage. “In investing money, the amount of interest you want should depend on whether you want to eat well or sleep well.” J. Kenfield Morley, Some Things I Believe.